At the age of 7, Carolina Eyck got her first theremin lessons from Lydia Kavina. After her debut in the Berlin Philharmonic in 2002, she has been invited to various concerts and festivals the world over. It was not long before she was known as one of the best theremin soloists in the world. As a soloist and chamber musician she has collaborated with Heinz Holliger, Robert Kolinsky, Gerhard Oppitz, the conductors Andrey Boreyko, Michael Sanderling, Gürer Aykal and John Storgårds, the Berlin Radio Symphony Orchestra, the HR-Symphony Orchestra, the Dresden Philharmonic, the Bern Symphony Orchestra, the Essen Philharmonic Orchestra, the Lapland Chamber Orchestra, the Heidelberg Symphonic Orchestra, the Mozarteum Orchestra Salzburg and ACME, the American Contemporary Music Ensemble (ACME). From 2011 on an increasing number of pieces have been written for the theremin, very often composed straightaway for Carolina Eyck. The first one was the Theremin Concerto Air by Andrew Norman. In 2012, Carolina played the theremin solo at the world premiere of the two symphonies Mesopotamia and Universe by Fazil Say. The Finnish composer Kalevi Aho dedicated the Theremin Concerto Eight Seasons to Carolina which she performed for the first time in October 2012. In October 2015 Carolina Eyck and Christoper Tarnow published a CD with the newest compositions for theremin and piano, the Theremin Sonatas. In October 2016 ACME and Carolina Eyck released her Fantasias for Theremin and String Quartet. In 2006, Carolina Eyck was winner of the International Competition for Composers arranged by Radio/TV Berlin-Brandenburg. In 2015, Carolina received the ECHO-Klassik in the category, Concert Recording of the Year (20th/21st century music) as the soloist on the recording of the theremin concerto Eight Seasons by Kalevi Aho, published in 2014 by BIS records. Together with the pianist and composer Christopher Tarnow she is forming a duo since 2013. Their works have been published on the CD Theremin Sonatas in October 2015 by the label GENUIN. Together with an assembled team of skilled musicians Carolina is developing a new set of music, encompassing different styles of electronics and jazz-related standards. The Carolina Eyck Band consists of Carolina Eyck (theremin/vocals), Lukas Rabe (piano/electronics), Jacob Müller (bass) and Philpp Scholz (drums). 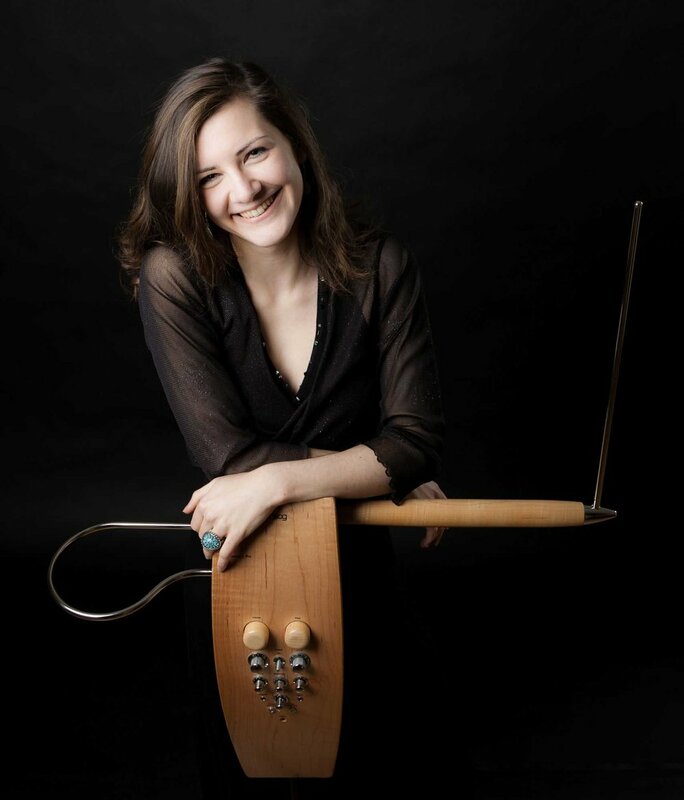 Carolina Eyck has conducted workshops, lectures and master classes worldwide, including at the Juilliard School and Hochschule und Theater, Leipzig. In 2006, she published the first extensive theremin method book entitled The Art of Playing the Theremin. She was named artistic director of both the Theremin Summer Academy in Colmar, France in 2010 and the Theremin Spring Academy in Leipzig in 2013. Carolina Eyck is regularly produces instructional videos, mostly in English, but also in Arabic, Japanese, Spanish and Turkish. As a synesthete, Carolina experiences clear links between color and sound both while listening to and playing music. Consequently, it is hardly surprising that she also intensively involved with painting. For example, she realized that Christopher Tarnow’s music mirrors her of her own pictures which, despite their consistent clarity, are characterized by multiple layers of color. It is not least of all because of this that Carolina feels that this artistic collaboration is particularly intensive.